The idea of Kanye West is a mysterious one. With 4 critically acclaimed albums, 21 Grammy awards, 3 albums on Rollings Stone’s 500 Greatest Albums of All Time by his early 30’s, twice listed as one of Time’s 100 most influential people in the world, and over 32 million album sales and 100 million digital downloads worldwide, he is undoubtedly one of the most important artists of our generation, if not THE most important artist of our generation. But as a wise fictional comic-book uncle once said, “With great power comes great responsibility.” By 2014, West had released the grandiose succession of 3 revolutionary solo albums: (1) ’808s & Heartbreak’ (the influence of which, admittedly, was not recognised until 7 years after its release); (2) ‘My Beautiful Dark Twisted Fantasy’; and (3) ‘Yeezus’. For the better half of 2015, West had the world on their knees waiting for his next masterpiece, the next disc of Kanye West songs that would change the game as its predecessors had done so with unstoppable force. 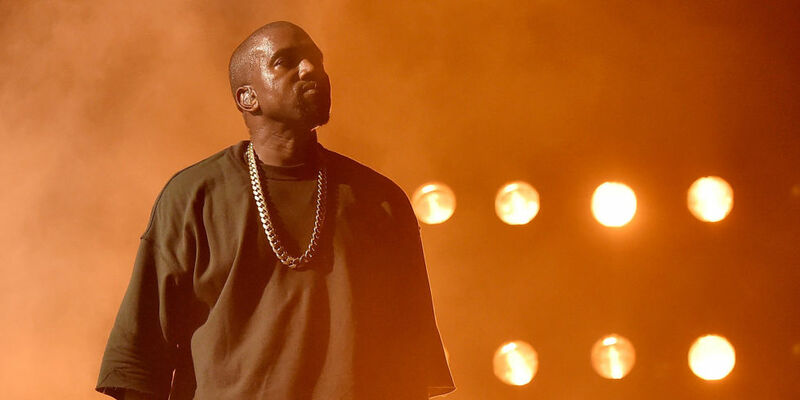 On 14 February 2016, West dropped the mess that is The Life of Pablo: an album that went against the grain as his last 3 efforts had done before, but in a completely different way. 808’s, Twisted Fantasy, and Yeezus had all broke the world artistically with their challenging sounds; Pablo broke it with its challenge to a concept — the concept of a complete cohesive album, the absolute opposite of what was achieved in West’s magnum opus Twisted Fantasy. This in itself has been dubbed the determinative factor in both its success and its failure by the somewhat divided criticism the album has received. Sonically, however, the album at its very core leaves something to be desired. It feels forced, and at the same time effortless, but not in a good way. Any trace of the lyricism in ‘College Dropout’ and ‘Late Registration’, the perfectly-executed meticulousness of Twisted Fantasy and Yeezus, and the flourish of ‘Graduation’ and 808s was nowhere to be found. The child-like wordplay in ‘Father Stretch My Hands Pt. 1’ and ‘Freestyle 4’, the unedited use of Desiigner’s ‘Panda’ in ‘Pt. 2’, and even the usurpation of the ‘Jumpman’ flow in ‘Facts’ all point towards a laziness that was never present in his previous albums. The fact that West wrote his contribution to ‘No More Parties in LA’ on a flight to Italy for his clothing line’s (YEEZY) season 3 fitting the day before it was meant to be released is perhaps the case in point: West did not care about the music. He certainly cared about the album itself, but he lost sight (or perhaps more appropriately, sound) of its essence. But why is this? What happened to the genius that we all invested the hopes and dreams of the next 5 years of music into? What happened to the self-proclaimed “Warhol”, “Jimi Hendrix”, “the Steve Jobs of internet”, “the Michael Jordan of music”, “the lineage of Gil Scott-Heron and Miles Davis”, the “Shakespeare in the flesh” that without fail changed the game time and time again and paved the way for artists both young and old to take and eventually make their own? On 15 June 2013, North West was born to West and influential celebrity Kim Kardashian, who were married on 24 May 2014 in Florence, Italy. For the first time in a very long time, West didn’t feel alone in the world. The loss of his mother, whom he was very close with, in 2007 and his break-up with long-term girlfriend Amber Rose in 2010 had led West into a state of disarray, a state of true solitude that inevitably allowed him to become the monolith that he is today. This very state set the conditions for a genuine introspection into the deepest caverns of his heart, which transformed the emotions brewing from the struggle to prove himself to the world in Dropout and Registration into raw sadness, a sadness that birthed the platform for world famous artists like Drake and The Weeknd to build upon: 808s. Dripping in melancholy and AutoTune, West simultaneously spilled his broken heart into the hands of the world and rewrote the rules of hip hop at the same time with his incredibly unique mixture of European synthpop and tribal rhythms through the sounds of a Roland TR-808. However, much like the synths behind his voice, the album’s effect and influence was delayed as it faced a general disappointment from critics. They called it “irritating”, “weak”, “a listless, bleary trudge”… and thus planted the seeds within West that led to the perfectionism of Twisted Fantasy. In 2009, West went into “self-imposed exile” in Hawaii, following a period of public controversy amid an overworked mental state, and spent over $3 million to create what would eventually become one of the greatest albums of all time. West’s frustration with the reception of 808s led him to work through the night and nap in the studio, and work in sessions with over 30 heavyweight artists to weigh in and contribute to the project. What followed was a piece of art with a maximalist aesthetic and opulent production quality; upon release, the whole world could not deny that West had created a masterpiece. Yet, the criticism continued. Despite having made one of the greatest pieces of music in the last two decades, followed by the incredibly successful stadium concept collaboration with long-time friend Jay-Z ‘Watch The Throne’, public media continued to berate West for his public statements and arrogance. It was evident that any sliver of humility was non-existent within West, but by stretching empathy to its furtherest degree, one could say it was understandable considering the worldwide acclaim he received for Twisted Fantasy in the face of all the hate from both critics and the media alike during his 808s phase. He showed them he was the artistic genius he claimed to be but was still one of the most detested human beings on camera. This sparked a fundamental change in West, the attitude that he would fight fire with fire. So came forth his next great work: Yeezus. Dubbed his most experimental and sonically abrasive work, Yeezus came during a time where West sought to “undermine the commercial”, a time where West stated that he had no desire to be on the radio anymore. This saw him in the studio with great focus, setting parameters regarding sound and style including the erasing of anything deemed too melodic or more in line with his previous material. The stripped-down minimal direction that West took his album in was a statement to the world: he was creating ‘anti-music’, a sound that tried to be abrasive, interruptive, hostile, and intentionally off-putting… it succeeded. It succeeded with rave reviews of a work that didn’t even have an album cover, with even rock legend Lou Reed claiming that “no one’s near doing what [West]’s doing, it’s not even on the same planet.” West had made a risk-filled drastic departure from his previous sound and it worked, even though he didn’t care whether it would or not. It worked because within the music was something so primal, so visceral that he could communicate so well because he had been feeling it for so long throughout the better half of his career: pure unadulterated rage. But what next? What was West to do when he had proven to the world that he was the genius he proclaimed to be, whether he cared about its opinion or not? He became bored. He lost interest in constantly succeeding in an industry that craved him one album after the next. He lost interest in sitting on this throne atop of the world of music because the struggle was the reason he thrived in it from the very beginning. And what was he to do with all this money?! He turned his efforts to fashion, a love he had since early in his career, which gave rise to his collaboration with Adidas: Yeezy Season. Speaking of love, West at this point now had his very own family, with Kardashian as his partner and a daughter he clearly shows an incredible affection for. This could be found in his collaboration single with Paul McCartney ‘Only One’, which was dedicated as a tribute to North. In addition to this, West’s aggressive attitude had changed into one that wished for the betterment of the world so that his daughter could be happy, so that she would not have to face the racial struggle West had and still has as an African-American. In almost every aspect of his life, West had no reason to be sad or angry: he was a god of music, he was the father of his own family, and despite initial pushback Yeezy Season had gained acclaim in both the fashion world and the general public. Life was good, too good, which is what led to the complacent downfall of what made West so revered in the first place: his music. Without the sheer sorrow of 808s, the earnest desire of Twisted Fantasy, and the anger of Yeezus, West went back into the studio almost purely out of obligation to his contract with Def Jam Recordings and created his poorest (literally) album to date: The Life of Pablo. The recording process of Pablo was not as focused as his previous efforts and seemed as though West was taking on the role of a tired conductor, where the orchestra of recording artists and producers around him knew the old formula of pushing boundaries and West was merely going through the motions of creating another album. Perhaps this would have been justified if he were having fun creating Pablo, but this was not likely the case as he was in and out of working on his clothing line at the same time. The incident with ‘No More Parties’ made the album process appear to be a burden on what West was really invested in at the time. And so came a higher number of ghostwriters, rather than collaborators, on the album (there were even ghostwriters for ‘Freestyle 4’! It’s meant to be a freestyle!) It was a lazy effort that West had no care for. By no means was the album bad, but in comparison to the rest of his work it stood head shoulders knees and toes below the rest. Trumpets sounded on opening track “Ultralight Beam”, heralding the end of West’s reign as a musician, the end of the West we knew and loved and hated all at the same time. One can only hope that his next rush effort ‘Turbo Grafx ’16’ can compensate.